For the first time in recent memory, there are some very big changes in the latest release of Ubuntu: 17.10. And it's not all to do with going, er, GNOME. This release is the first since Canonical announced it would cease development of its Unity desktop and its long-touted goal of "convergence" – AKA one OS to rule them all. All that is gone and in its place Ubuntu has returned to the GNOME desktop. 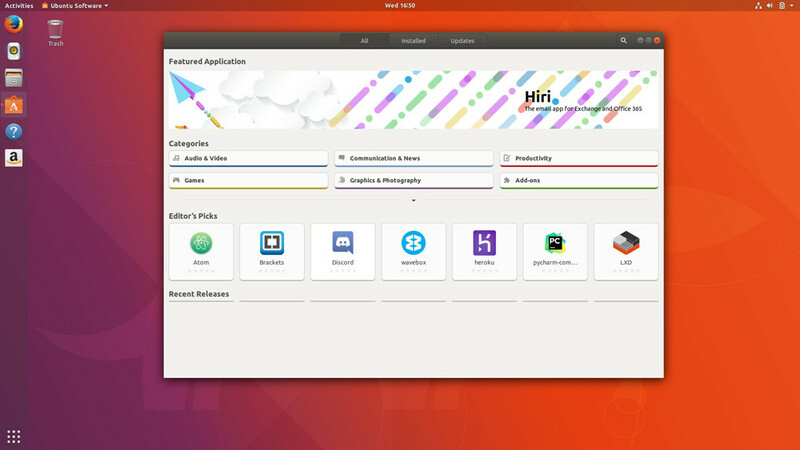 The result is a revamped Ubuntu that feels a bit snappier and more modern than Unity, and, more importantly, seems to have imbued Canonical with a renewed sense of purpose as a distro. If you've been using Ubuntu long enough (since prior to 11.04) you're really returning to GNOME, though if you enjoyed Unity it may be something a bittersweet homecoming. 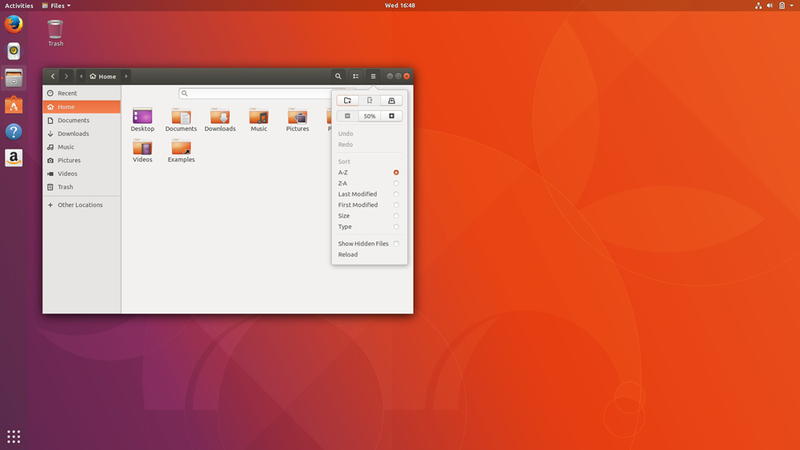 While Ubuntu has a done a nice job of integrating GNOME extensions to create something that bears at least some resemblance to Unity – making things at least look similar means a less jarring transition for users – there are undeniably missing features compared to Unity. There are then two reviews to write here: first, how is Ubuntu with GNOME? And second, how is Ubuntu with GNOME compared to Ubuntu with Unity? The answer to the first question is that it's, well, pretty damn good. In fact, were it not for a few bugs that seem to make Ubuntu 17.10 unstable under Wayland, I would call 17.10 a great way to experience GNOME 3.26. 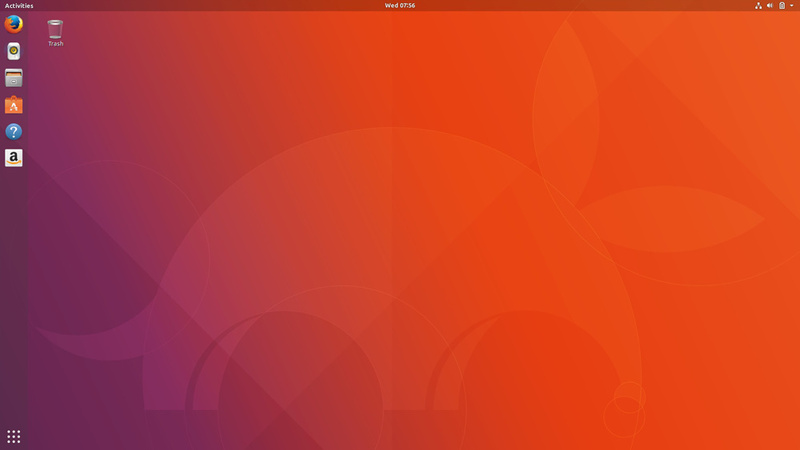 Ubuntu has done a good job of integrating a few plugins that improve GNOME's user experience compared to stock GNOME – most notably a modified version of the Dash-to-Dock and the App Indicator extensions, which go a long way toward making GNOME a bit more like Unity. It's worth noting that Ubuntu's fork of Dash-to-Dock lacks some features of the original, but you can uninstall the Ubuntu version in favour of the original if you prefer. In fact you can really revert to a pretty stock GNOME desktop with just a few tweaks. Canonical said it wasn't going to heavily modify GNOME and indeed it hasn't. The result is a very nicely themed GNOME desktop for Ubuntu that is very reminiscent of the way Ubuntu used to customize GNOME prior to the advent of Unity. Unfortunately, there have been several stability issues in the course of my testing. Trying to configure UFW via the GUI pretty reliable crashes GNOME thanks to this bug. It's easy enough to configure UFW via the terminal, but that bug affects other applications as well, particularly anything launched by using sudo appname. It's really a GNOME bug, but for whatever reason 17.10 is the first time I've encountered it. From my testing, the big crashing system-stoppers are all limited to running under Wayland though so, my suggestion is, until 18.04 arrives, if you want a rock solid system, stick with running Ubuntu under X.org. While the out-of-the-box experience for Ubuntu 17.10 is generally good, it is not arriving out of the blue. It is replacing an arguably more powerful desktop – Unity. There are the obvious missing features, for example the HUD is gone and no GNOME extension I've tried has worked the same way save this one but unfortunately when I tested it was quite buggy. There are, however, some other things to be aware of even if you don't care about the HUD and other Unity-specific features, most notably the considerable differences between GNOME applications that used to ship with Unity and those that ship with GNOME proper. Canonical has long patched and heavily modified quite a few stock GNOME apps, but one that's most obvious is Files. Files (formerly Nautilus) has completely different right-click menus and toolbars. Other changed apps include Archive Manager, Gedit and Deja Dup, which now only works with NextCloud. The latter is one of those classic GNOME dictatorial decisions that have alienated so many users. Once upon a time Deja Dup supported Amazon S3 and some other very nice online backup solutions, but those were deemed "asking casual users to set up an Amazon S3 account is too high a bar". Last time I checked all you had to do to set up an S3 account was create an AWS user, which while perhaps a bit harder than Google Drive, seems well within the capabilities of most people. Except those that GNOME considers its core. But what drives me batty about this kind of thinking isn't that S3 is too complicated for "casual users" it's that once that decision is made the feature must be removed for everyone. Technically speaking you can get the S3 option back. Open conf-editor and navigate to /org/gnome/deja-dup and change the backend key to either gcs, openstack, rackspace, or s3. However, before you resume backing up your files with Deja Dup, consider this note about the future of S3 and other apparently complicated backup services: "Eventually, we might drop support for backing up to them. And then later, maybe we'll drop support for restoring from them too." You don't say. If you're the sort of user who likes to control your data, and likes, for instance making encrypted backups to S3, might I suggest you learn how to use the considerably more powerful and future-proof, s3cmd. Alas this is the sort of thinking that pervades the GNOME project, as far as I can tell, from top to bottom. GNOME is not (perhaps it never was) a desktop for those who like customize, do things themselves, or have any say in the future of the software they use. This is also where I see a bumpy future for the Canonical-GNOME relationship. Canonical has always been very good at assessing and understanding what the users want and need. They've posted quite a few surveys just to see what people wanted for the transition to GNOME and appear to have taken the feedback to heart. The new Ubuntu software app is largely the same as in the previous release (click to enlarge). Canonical is also not afraid to turn its back on projects that don't work. A lot of companies would never have admitted that the vision of convergence wasn't what people wanted. That's the sort of move that takes guts and honest appraisal of what you're doing, what's working and what's not. The GNOME project has never displayed that kind of thinking. And as far as I can tell, it operates on nearly the opposite premise. It's to early to say, but I predict conflict down the road. Keep a bag of popcorn handy, I believe there will be plenty of fireworks to watch. For now though Ubuntu 17.10 feels very much like Ubuntu has some of its mojo back. For the first time in a long time there are updates worth mentioning and the distro no longer feels like it's in limbo, waiting on convergence.